A large city of over 1 million stands at the center of the municipality of Campinas. For maps, more things to do, where to stay, and more tourist information, go to the Campinas trip planning site . If you are flying in from Mexico, the closest major airports are Guarulhos - Governador André Franco Montoro International Airport, Congonhas Airport and Viracopos International Airport. In November in Campinas, expect temperatures between 35°C during the day and 34°C at night. On the 19th (Mon), you'll travel to Bonito. Get in touch with nature at Rio da Prata and Gruta do Lago Azul. Step out of Bonito to go to Jardim and see Buraco das Araras Ecoturismo, which is approximately 56 minutes away. There's much more to do: explore the activities along Recanto Ecologico Rio da Prata, explore the fascinating underground world of Sao Miguel Caves, tour the pleasant surroundings at Figueira Beach, and meet the residents at Aquario Natural. Plan trip to Bonito with our itinerary maker to find out where to go and what to do. Traveling by combination of bus and flight from Campinas to Bonito takes 3.5 hours. Alternatively, you can do a combination of bus, flight, and shuttle; or drive. Wrap up your sightseeing by early afternoon on the 23rd (Fri) to allow time for travel to Iguazu National Park. Iguazu National Park contains 672 sq km (259 sq mi) of fertile subtropical forests, but its main attraction is the majestic Iguazu Falls. Start off your visit on the 23rd (Fri): take in the dramatic scenery at Iguazu Falls. Get ready for a full day of sightseeing on the next day: contemplate the waterfront views at Lago Urugua-i and then admire the sheer force of Salto Bernabe Mendez. To find more things to do, reviews, maps, and other tourist information, read Iguazu National Park trip maker website . Do a combination of shuttle, flight, and car from Bonito to Iguazu National Park in 9 hours. Alternatively, you can drive; or do a combination of bus and car. Due to the time zone difference, you'll lose 1 hour traveling from Bonito to Iguazu National Park. In November in Iguazu National Park, expect temperatures between 34°C during the day and 20°C at night. Wrap up your sightseeing on the 25th (Sun) early enough to travel to Montevideo. Step out of the city life by going to Playa Pocitos and Playa Punta Colorada. We've included these beaches for you: Cuchilla Alta and Playa Punta Ballena. Venture out of the city with trips to Playa Hermosa (in Piriapolis), Playa Solanas (in Punta Ballena) and Punta del Este (Museo - Taller de Casapueblo & Arboretum Lussich). Next up on the itinerary: wander the streets of Pocitos, don't miss a visit to Plaza Matriz, pause for some serene contemplation at Catedral Matriz, and admire the striking features of Palacio Salvo. To find reviews, other places to visit, where to stay, and tourist information, refer to the Montevideo trip itinerary planning site . You can do a combination of car and flight from Iguazu National Park to Montevideo in 6.5 hours. Other options are to do a combination of shuttle and flight; or drive. In November, Montevideo is a bit cooler than Iguazu National Park - with highs of 27°C and lows of 15°C. Finish up your sightseeing early on the 1st (Sat) so you can catch the ferry to Buenos Aires. Visit La Boca and Catedral Metropolitana for their historical value. Visiting Parque 3 de Febrero and Reserva Ecologica will get you outdoors. Step out of Buenos Aires to go to La Plata and see Catedral de la Plata, which is approximately 1h 15 min away. There's still lots to do: take a stroll through Puerto Madero, appreciate the extensive heritage of Palermo Soho, make a trip to Recoleta Cemetery, and explore the world behind art at Museum of Latin American Art of Buenos Aires. To find ratings, traveler tips, and more tourist information, use the Buenos Aires day trip site . Ride a ferry from Montevideo to Buenos Aires in 2.5 hours. Alternatively, you can fly; or take a bus. Traveling from Montevideo in December, you can expect nighttime temperatures to be a bit warmer in Buenos Aires, with lows of 23°C. Cap off your sightseeing on the 8th (Sat) early enough to travel to Puerto Madryn. Whales and penguins frolic in the waters of Puerto Madryn, one of Argentine Patagonia's most important port cities. Step out of the city life by going to Playa El Doradillo and Costas de Patagonia. 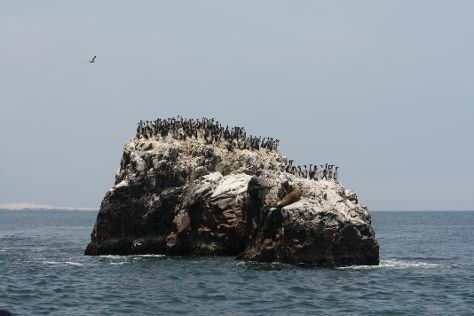 There's lots more to do: identify plant and animal life at Punta Tombo National Reserve, appreciate the history behind Monumento al Indio Tehuelche, appreciate the extensive heritage of The Town of Gaiman, and take a tour by water with Boat Tours & Water Sports. For other places to visit, where to stay, photos, and more tourist information, read Puerto Madryn vacation builder site . Getting from Buenos Aires to Puerto Madryn by flight takes about 3.5 hours. Other options: do a combination of flight and bus; or drive. On the 12th (Wed), wrap the sightseeing up by early afternoon so you can travel to Perito Moreno. Perito Moreno is a town in the northwest of Santa Cruz Province, Argentina, 25 km east of Lake Buenos Aires. To see ratings, maps, traveler tips, and more tourist information, read our Perito Moreno trip planner . Getting from Puerto Madryn to Perito Moreno by car takes about 10.5 hours. In December, daily temperatures in Perito Moreno can reach 22°C, while at night they dip to 10°C. You will leave for El Calafate on the 13th (Thu). Step out of the city life by going to Parque Nacional Los Glaciares and Enjoy!. There's much more to do: contemplate the waterfront views at Lago Argentino, take a stroll through Av del Libertador, look for all kinds of wild species at Safari Experience - Patagonia Profunda, and browse the eclectic array of goods at Paseo de Los Artesanos. To find reviews, other places to visit, photos, and other tourist information, refer to the El Calafate trip itinerary planning website . You can drive from Perito Moreno to El Calafate in 8.5 hours. Expect slightly colder weather when traveling from Perito Moreno in December: highs in El Calafate hover around 16°C, while lows dip to 15°C. 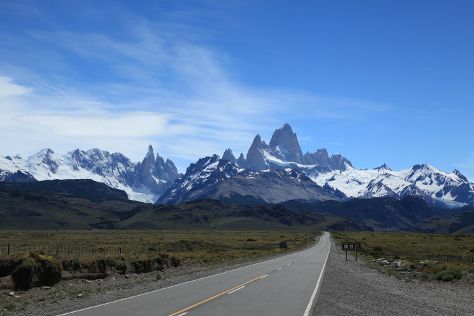 Finish your sightseeing early on the 16th (Sun) so you can take a bus to El Chalten. 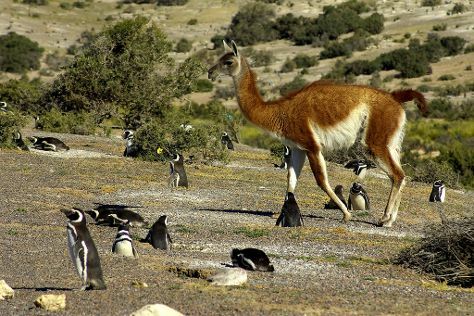 Visiting Cerro Fitz Roy and Laguna de los Tres will get you outdoors. There's much more to do: contemplate the waterfront views at Laguna Torre, get great views at Mirador del Torre, hike along Miradores Los Condores y Las Aguilas, and tour the pleasant surroundings at Sendero a Piedra del Fraile. To find maps, other places to visit, ratings, and other tourist information, refer to the El Chalten trip planning website . Getting from El Calafate to El Chalten by bus takes about 3 hours. Other options: drive. Wrap up your sightseeing on the 20th (Thu) early enough to travel to San Carlos de Bariloche. Take a break from the city and head to Parque Nacional Nahuel Huapi and Circuito Chico. Go for a jaunt from San Carlos de Bariloche to Colonia Suiza to see Berlina Patagonia Brewery about 36 minutes away. 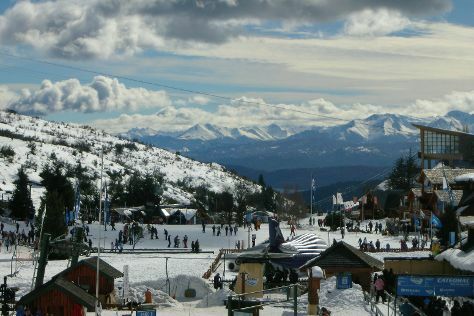 On the 21st (Fri), spend an exhilarating day on the slopes at Catedral Alta Patagonis. Next up on the itinerary: enjoy the sand and surf at Playa Bonita, take your sightseeing to a higher altitude at Cerro Tronador, appreciate the history behind Centro Civico, and stroll through Cerro Otto. To find other places to visit, photos, and other tourist information, go to the San Carlos de Bariloche tour planner. Traveling by combination of bus and flight from El Chalten to San Carlos de Bariloche takes 7.5 hours. Alternatively, you can take a bus; or drive. Expect a daytime high around 24°C in December, and nighttime lows around 6°C. Finish your sightseeing early on the 25th (Tue) so you can travel to Santiago. Get some historical perspective at Centro Cultural Palacio de la Moneda y Plaza de la Ciudadania and Castillo Hidalgo. Get in touch with nature at Valle Nevado - Ski Resort Chile and Upscape. Dedicate the 29th (Sat) to wine at some of the top wineries in the area. The adventure continues: tour the pleasant surroundings at San Cristóbal Hill, take a stroll through Barrio Lastarria, don't miss a visit to Cerro Santa Lucia, and explore the world behind art at Museo Nacional de Bellas Artes. For where to stay, photos, maps, and tourist information, read Santiago trip planner . Getting from San Carlos de Bariloche to Santiago by flight takes about 7 hours. Other options: do a combination of bus and flight; or drive. The time zone difference moving from Argentine Time (ART) to Chile Time (CLT) is minus 1 hour. Wrap up your sightseeing on the 2nd (Wed) early enough to travel to Cusco. Get some historical perspective at Sacsayhuaman and Salinas de Maras. Visiting Perolniyoq Waterfall and Santuario Animal de Cochahuasi will get you outdoors. There's lots more to do: contemplate the long history of Plaza de Armas, explore the ancient world of Tambomachay, take in the architecture and atmosphere at Convento de Santo Domingo, and take a stroll through San Blas. To see where to stay and more tourist information, read our Cusco trip maker website . Getting from Santiago to Cusco by flight takes about 9 hours. Other options: drive; or take a bus. The time zone difference when traveling from Santiago to Cusco is minus 1 hour. In January in Cusco, expect temperatures between 22°C during the day and 9°C at night. On the 7th (Mon), wrap the sightseeing up by early afternoon so you can travel to Machu Picchu. On the 7th (Mon), take in the views from Inca Bridge. On the 8th (Tue), you'll have a packed day of sightseeing: take in nature's colorful creations at Los Jardines de Mandor and then steep yourself in history at Santuario Historico de Machu Picchu. For reviews, where to stay, maps, and more tourist information, you can read our Machu Picchu trip planner . You can do a combination of bus and train from Cusco to Machu Picchu in 3 hours. Other options are to drive; or take a bus. You will have some time to spend on the 10th (Thu) before leaving for Ica. Located on the Ica River in the desert areas of Peru's southern coast, the city of Ica stands as something of an oasis in the dry, barren landscape. Oasis of Huacachina has been added to your itinerary. On the 13th (Sun), step off the mainland to explore Islas Ballestas and then tour the pleasant surroundings at Playa de la Mina. Here are some ideas for day two: explore the activities along Oasis of Huacachina, then contemplate the waterfront views at Laguna de Huacachina, and then learn about winemaking at El Catador. To find ratings, other places to visit, and other tourist information, read Ica trip itinerary planner. Traveling by car from Machu Picchu to Ica takes 16.5 hours. Alternatively, you can do a combination of train and bus; or do a combination of taxi and bus. In January, daily temperatures in Ica can reach 31°C, while at night they dip to 22°C. On the 15th (Tue), wrap the sightseeing up by early afternoon so you can take a bus back home.